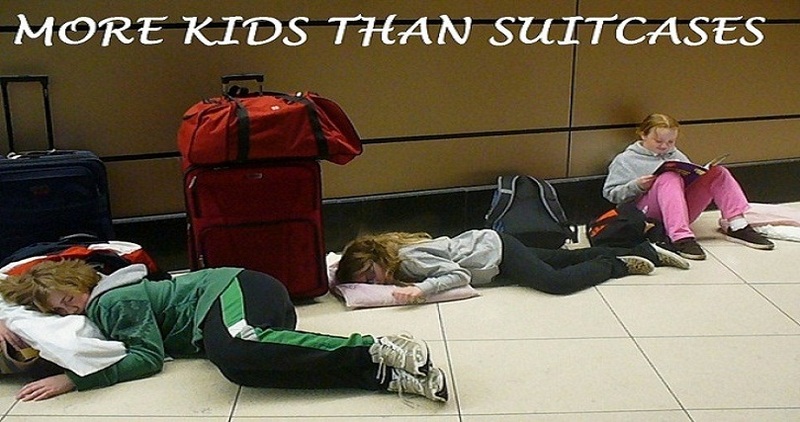 MORE KIDS THAN SUITCASES: Travel is Romantic Right? February is not my favorite month of the year. Outside of the Superbowl (which never seems to involve the Dolphins these days) it's all romance, romance, romance. If you want to see me operating out of my league, this is your chance as I'm knee deep in things I don't understand. Not only is Valentines Day in February, but so is Lori's birthday, and now Kelowna, the city where I live, has been named the number three most romantic city in Canada. Good thing there's no pressure attached to any of that stuff! The thing is, to me, our life sounds pretty romantic. With all the great trips, fancy hotels, and world class shows we get to enjoy, I'd say we meet most people's criteria. In fact, some of the dates I've taken Lori on would almost certainly qualify me for King of Smooth status. We've gone on a carriage ride in Central Park and then to a Broadway play; we went for dinner at Emeril's restaurant and to see Celine perform in Vegas; we've even taken cable cars to a date on the San Francisco pier. You'd think that these things would score some pretty major romance points wouldn't you? For some reason though, the points seem to come from very strange places. I get more credit for helping my daughter with her homework than I do for a night at the Park Hyatt. My wife is more impressed when I hold the door for her than when I get her seat on a flight upgraded. Don't even get me started on show tickets, because believe me they don't carry as much weight as vacuuming the living room. I sometimes think that if I just brought home flowers without being asked, I might never be responsible for another date night again. This concept, of course, doesn't work well with my stereotypical male mind. In my head, there's no way a weekend escape can be equivalent to unpacking the dishwasher. I guess it's possible that we've been on too many weekend trips and that they've lost their value, or maybe it's the scarcity of the dishwasher emptying that has increased it's value. Either way, I need to tip the scales back in the direction of travel as the preferred romantic gesture. I suppose I could ramp up the getaways. Maybe a week in Paris, picnic under the Eiffel Tower, holding hands while we walk down the Champs-Élysées. That's got to be romance for the win right? To be honest, I'm not sure. For me, all travel is romantic. Even the five of us jammed inside a too small hotel room with two of us having to sleep on the floor and none of us having pajamas because our luggage hasn't arrived yet. It's about being with the ones you love and heading into the unknown, exploring something new. That's romance to me, and when I think about it, I'm pretty sure Lori shares the same definition. After all, me remembering to fold the laundry without being asked, would definitely be something new.